Do your spoons often mysteriously vanish from your cutlery drawer? 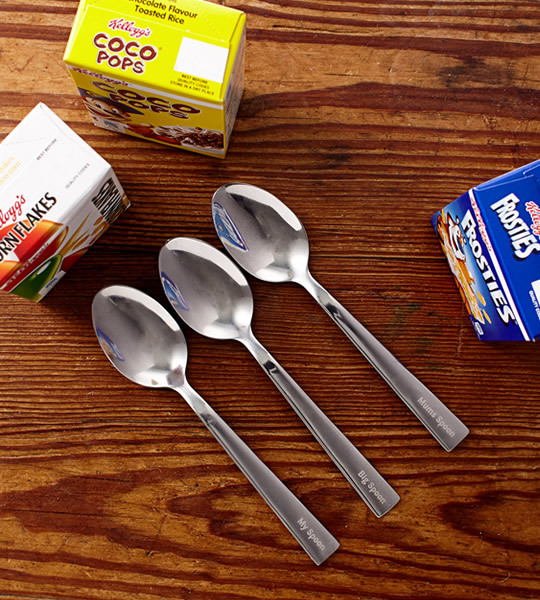 Grab a free spoon on purchasing two boxes of Kellogg’s cereal to replenish your supplies. You can choose a spoon with the message of your choice: then no-one has an excuse to steal yours! Simply follow this link, add two boxes of your favourite cereal to your trolley and add the spoon of your choice. Place your order by the 14th April 2015. This entry was posted in Talking Ocado and tagged breakfast, cereal, Freebies, giveaway, kellogg's by Ocado. Bookmark the permalink. All the spoons are out of stock. Not much of an offer.